Psychological thriller ‘The Tokoloshe’, directed by Jerome Pikwane and starting Petronella Tshuma (Rhythm City, Scandal! ), opens at cinemas countrywide on 2 November. The film recently screened at the first-ever Comic Con Africa, from 14 to 16 September, and audiences reacted positively both to the film itself as well as the visual effects presentation by the VFX and sound design team. “As a distributor of films, it was great to show The Tokoloshe at Comic Con while South Africans were dressed up as super heroes and monsters from films like Batman, Black Panther or Star Wars”, said Helen Kuun, head of Indigenous Film Distribution. The chilling film has generated much interest at fantasy and horror festivals around the world. It had its European premiere at Frightfest in London, the UK’s largest international horror film festival. Known as the ‘dark heart of film’, the festival showcases the best and most exciting horror from around the globe. The South African film, a tale about a terrifying predator, tells the story of Busi (Tshuma), a young woman who is desperate for money and takes a cleaning job at a rundown hospital. 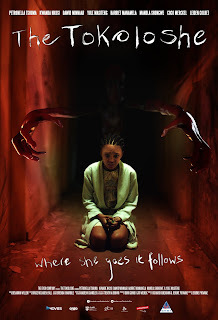 There she befriends a young girl, Gracie (Kwande Nkosi), who believes she is being terrorised by a supernatural being called the Tokoloshe, a diminutive, malevolent spirit with sexual desires who can cause illness or even death. When children start being taken, Busi is forced to ask if the Tokoloshe is indeed responsible. UK horror movie review site, Love Horror, said, “director Pikwane has done himself proud with this unnerving and progressive piece”, adding that the visual bleakness of the aesthetic and the choice of a dingy setting with low lighting brings about “an uncomfortable stifling mood which remains a consistent element of the film”. ‘The Tokoloshe’ releases on 2 November at cinemas in South Africa – just in time for the Halloween season. 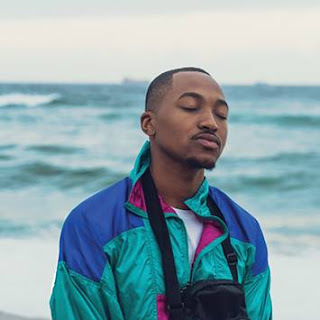 ‘The Tokoloshe’, which has already seen several international sales, was funded by the National Film and Video Foundation (NFVF) and M-Net Movies, and will be released by Indigenous Film Distribution.